Dickens' novels, like those of his contemporaries, are more explicitly indebted to the theatre than scholars have supposed: his stories and characters were often already public property by the time they were published, circulating as part of a current theatrical repertoire well known to many Victorian readers. In this 1998 study, Deborah Vlock argues that novels - and novel-readers - were in effect created by the popular theatre in the nineteenth century, and that the possibility of reading and writing narrative was conditioned by the culture of the stage. 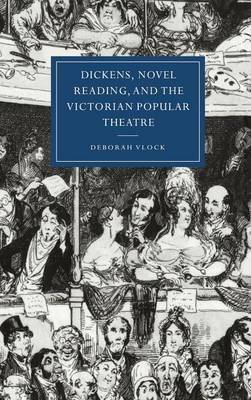 Vlock resuscitates the long-dead voices of Dickens' theatrical sources, which now only tentatively inhabit reviews, scripts, fiction and non-fiction narratives, but which were everywhere in Dickens' time: voices of noted actors and actresses and of popular theatrical characters. She uncovers unexpected precursors for some popular Dickensian characters, and reconstructs the conditions in which Dickens' novels were initially received. Buy Dickens, Novel Reading, and the Victorian Popular Theatre by Deborah Vlock from Australia's Online Independent Bookstore, Boomerang Books.